1. No hearing aid eliminates all background noise. All hearing aids improve the speech to noise ratio (reducing noise, raising speech). 2. 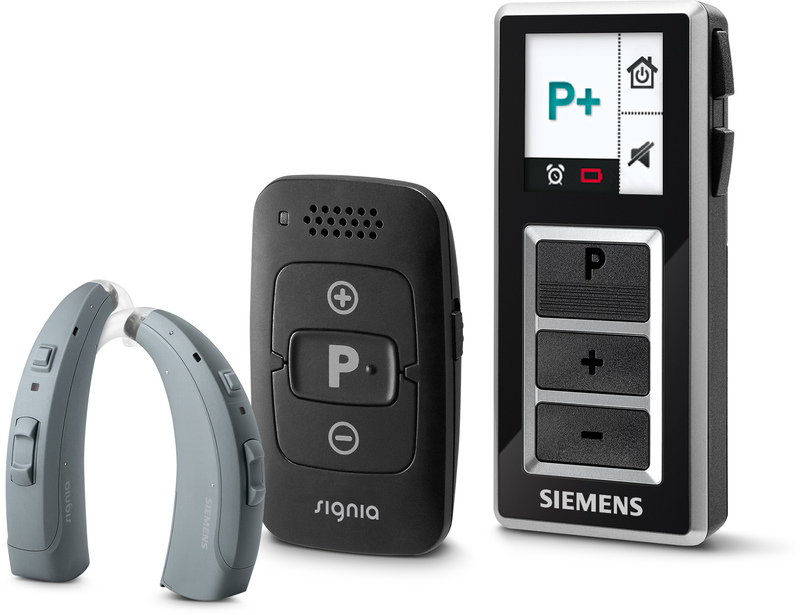 Siemens (Signia) hearing aids enable the listener to hear better in noise than people with normal hearing. 3. Phonak and Signia both offer adaptive frequency compression algorithms to permit more audibility of high frequency speech and environmental sounds. 4. Phonak's new AutoSense Sky offers improved speech to noise ratio for kids. This is especially important for children integrated into classes with normal hearing children. At Appalachian Audiology, aspects of hearing-in-noise are measured and incorporated into recommendations for hearing aid circuits and accessories. Improving your ability to understand conversations in noisy places varies based on the sophistication of the hearing aid microphones. Level 1 or Standard microphones usually found in entry level hearing aid technology will raise the speech of the person you are facing and reduce 4-6 of the loudest noises behind you. Level 2 or Advanced microphones are adaptive. This means they will raise the speech of the person you are looking at and reduce 8-12 of the loudest sounds beside and behind you. Level 3 or Premium hearing aid microphones will raise the speech and lower up to 32 of the loudest sounds or noises in the room. In addition, premium circuits can differentiate between noise and music. This new technology has the following labels: Speech Focus in Siemens aids, StereoZoom in Phonak aids, Speech Guard in Oticon aids, Natural Directionality 2 in ReSound aids. Budget concerns often lead people to question if one hearing aid can adequately compensate for their hearing loss. While the audiologist must address this concern with each patient individually, wearing two hearing aids offers several advantages including an improved ability to understand speech and participate in conversations in noisy environments. For more information on the advantages of wearing two hearing aids, click here. Bluetooth compatible hearing aids are available at all levels of technology. First viewed as a luxury, bluetooth connections now enable clarity in challenging listening or hearing situations. For example, bluetooth connection to a cell phone or land line often improve the clarity of the callers voice simply because you hear the caller in both hearing aids. More than that, certain bluetooth circuits will deliver a stereo signal again enhancing the clarity for TV listening, computer streaming, and music comprehension. All hearing aids generally require an accessory to access the bluetooth function. This is customized based on your lifestyle and comfort with the technology. Both bluetooth and FM accessories work to improve hearing in noise. How much do hearing aids cost? How do I know which hearing aid is right for me? How do I know what accessories I really need?